TODAY, beyondblue is holding a national conference, involving some of Australia’s most senior leaders of first responder agencies, to discuss ways to work together to improve the mental health of first responders and reduce their risk of suicide. Police commissioners, Fire and Rescue commissioners and chief officers, SES commanders, CEOs and senior executives from all over Australia will attend the conference in Sydney following a number of recent suicides of first responders and reports of psychological distress in workers. beyondblue is also launching its Good Practice Framework for mental health and wellbeing in first responder organisations, a set of practical guidelines to help organisations understand what is good practice for promoting positive mental health and reducing suicide risk in their workforces. beyondblue Chairman The Hon. Jeff Kennett AC said beyondblue had convened first responder agencies to come together and make a commitment to address the psychological distress workers may face going about their daily duties. Every first responder agency in Australia will be represented at the conference. 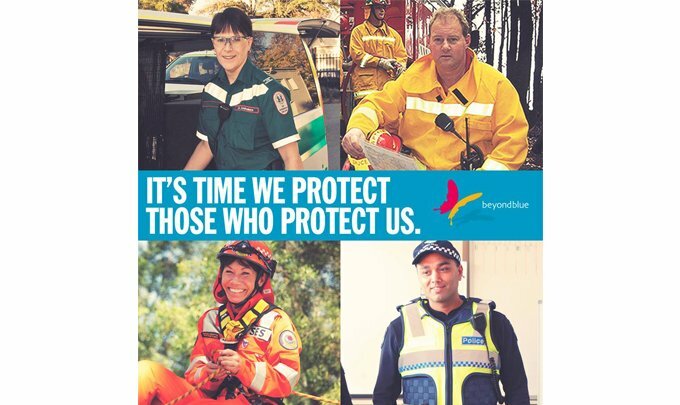 “beyondblue is committed to working with agencies to improve the mental health of our first responders. We have seen a number of first responders die by suicide in recent months and we must act now to reduce the risk of workers experiencing psychological distress,” Mr Kennett said. “A gathering of leaders like we have today is a big step forward in addressing this serious issue. We know especially in male-dominated workplaces, worries about what others will think is often a barrier to workers getting help… so it is an encouraging sign to see leaders focusing on improving the mental health, as well as the physical fitness, of their employees. The conference keynote speaker, Micheal Pietrus, from the Mental Health Commission of Canada said thousands of Canadian police officers from 60 police agencies are receiving better support since a workplace mental health program, based on a Department of National Defence initiative, was implemented. “In Canada, there has been a dramatic uptake in mental health services in the two years since the program began. First responders are hard to reach as stigma is entrenched in the workforce culture, yet we have seen a huge increase in people seeking help, requests for more programs in other related agencies and recognition this is a serious problem,” he said. Ambulance Victoria Acting CEO Associate Professor Tony Walker said the physical and mental health of our paramedics is the most important issue in our workplace today. “We are proud to have contributed to the development of the beyondblue Good practice framework and believe it will help improve the mental health of our paramedics and other first responder workers,” he said.